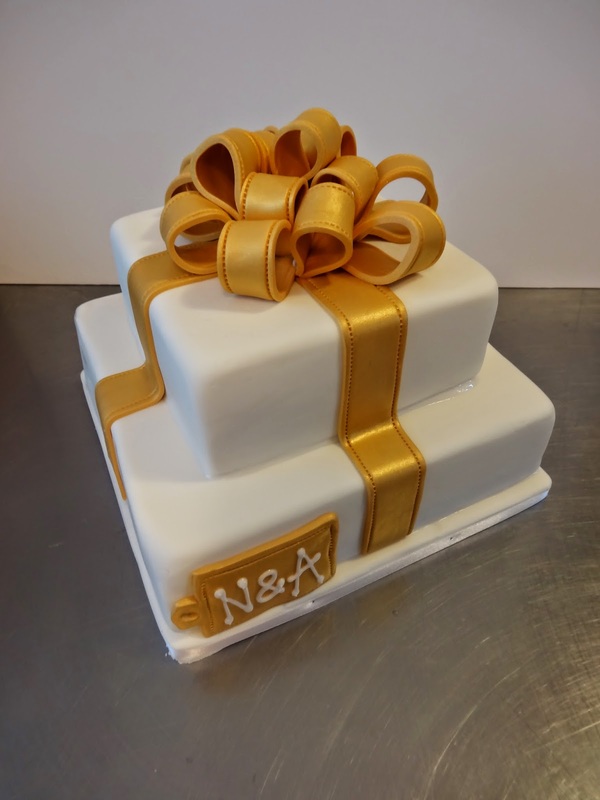 Present Wedding cake with gold fondant ribbon. Congrats Naomi & Anne and good luck in Australia!! !